Fair. New and unread however slight tear to back cover top edge-1cm x 1cm chunk missing from back cover and last two pages. I really enjoyed the book, but I am not sure I believed all of it. How, for instance, were the two of them able to travel so much and drink so much and hire a caretaker for the baby without either one working? 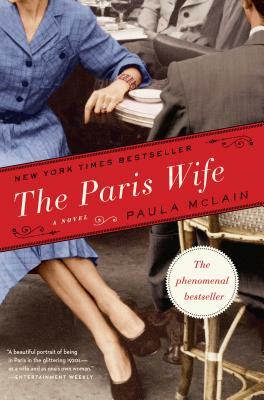 A fictionalized account of Hemingway's first marriage and their life in Paris just before he hit it big. Fascinating! Read A Moveable Feast and compare. I am only 200 pages through the book, but I am enjoying it a lot. It reminds me of the movie "Midnight in Paris". This book was a good read, but not all that well written or a page turner. I knew most of what McLain wrote already, but still some interesting facts. I would recommend it to those who have not read much about Hemingway. If you're interested in Hemingway, especially his Paris years, this is a fascinating read.